Corrects a phenomenon in which when using the camera with the EF 70-300mm f/4-5.6 IS II USM lens, even if lens aberration correction is set to "Enable", correction will not be applied. Firmware Version 1.1.7 is for cameras with firmware up to Version 1.1.6. If the camera's firmware is already Version 1.1.7, it is not necessary to update the firmware. Corrects a phenomenon in which when using the camera with the EF 70-300mm f/4-5.6 IS II USM lens, even if lens aberration correction is set to "Enable", correction will not be applied. Firmware Version 1.1.7 is for cameras with firmware up to Version 1.1.6. If the camera's firmware is already Version 1.1.7, it is not necessary to update the firmware. If the firmware is updated from version 1.1.6 or before, the following setting will be reset to default. Right-click the zip file, and then select Extract All to extract the file. The extracted folder contains the firmware (File Name: 6D000117.FIR, File Size: 21,331,712 bytes) and instructions on the firmware update procedures (a PDF file in five languages: Japanese, English, French, Spanish, and Simplified Chinese). Q: Please tell me about the changes made in Firmware Version 1.1.7? Q: Are the improvements from previous firmware versions included in Firmware Version 1.1.7? 1. Fixes a phenomenon wherein AI Servo AF, if the AF point selection is automatic, the camera may not first use the center AF point to focus. 2. Fixes a phenomenon where focus cannot be finely adjusted with specific lenses when performing remote shooting using the bundled application software EOS Utility. 1. Fixes a phenomenon in which some images cannot be transferred to mobile devices running the EOS Remote app. 2. Corrects an error in the German language Feature Guide. 3. Corrects an error in the Korean language Feature Guide. Corrects the phenomenon where date/time settings reset. 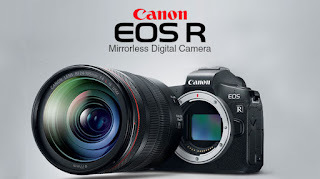 Fixes a phenomenon which prevents movie files shot using Canon EOS 6D Digital SLR cameras from being played back on YouTube. Firmware version 1.1.2 may present some Video Snapshot limitations. Please review the two scenarios and the workaround provided below. If a video snapshot captured when the camera was running firmware 1.0.9 is combined with a video snapshot created by a camera which was running firmware 1.1.2, the resulting video snapshot album will be corrupted. If you try to add a video snapshot from a camera running firmware 1.1.2 to the video snapshot album created when the camera was running firmware 1.0.9, a warning message "Cannot select this movie" will appear and the video snapshot cannot be added to the album. Please follow this workaround which addresses the two scenarios described above. 1) Shoot a video snapshot and create a video snapshot album. 2) Import the captured video snapshot album to your computer. 3) Start ImageBrowser EX, an application bundled with the EOS 6D. 4) Select the video snapshot album, and select [Edit Movie] in the [Edit] tab. 5) MovieEdit Task will start. 6) Select [Add Image] and select video snapshot album to add the movie snapshot. 7) Select [Save] and [Save image type], and then click [Save].